Our consultants have a diversity of experience, skills and knowledge from a range of sectors. Each project team is assembled to meet the needs of the project and Directors take a practical, hands-on role. 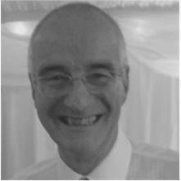 Ian has 14 years of consultancy experience gained in the membership and not-for-profit sectors. Prior to joining Ashridge Communications as a Director in 2002, Ian held senior management positions in large international agency groups, small communications consultancies and blue chip clients including Kraft Foods, Thomson Holidays, Unilever, British Posters and Cato Johnson. He also launched and owned his own communications businesses. Ian's expertise includes design, advertising, direct marketing, promotions, media and publishing. 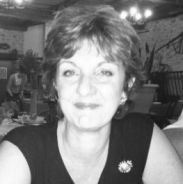 Emma has a background in corporate affairs and communications and brings a wealth of strategic expertise and membership know-how to every project. Before joining first as Associate Director in 2013, then Director in 2014, Emma built up 10 years of experience within membership bodies - so has first-hand appreciation of the challenges, particularly strategic development and effective delivery of member services and communications. Emma is a member of the Market Research Society, has a PhD in molecular microbiology, can teach English as a Foreign Language and plays midfield in a hockey team. She thoroughly enjoys research challenges, problem-solving, new learning and deep thinking; Emma reads and writes on topics of interest to the sector (see Our Thoughts or follow Emma @AshridgeComms). 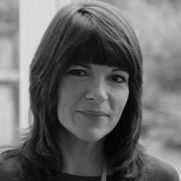 Emma is a research and insight specialist with more than 15 years of experience in agency and client-side roles across a range of industry sectors. Her experience spans membership and professional bodies, higher and executive education, heritage and cultural organisations, and travel and tourism. 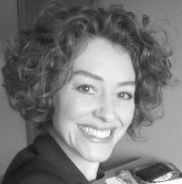 Emma gets to the heart of a business or marketing issue, and designs and delivers research to address that issue. She enjoys translating data and insight into actionable recommendations, and working with colleagues and clients at all levels to make a difference to their organisation. Emma is a member of the Market Research Society. Jenny manages the sponsorship sales team. She has significant event sales and management experience and has built strong and successful relationships with potential sponsors enabling her to identify when and how to approach them to take part in a client's promotional activity. Prior to joining Ashridge Communications, Jenny held responsibility for organisation of the annual trade event within a membership organisation, so understands the relationships – and challenges – that organisations have to consider when encouraging members and suppliers to support their events. Her experience enables her to assist clients with additional aspects, such as floorplan development and adaptation, on-site liaison and face to face meetings with major sponsors. Our knowledge and learning in the membership sector is enhanced by our association with MemCom and the MemberWise network.